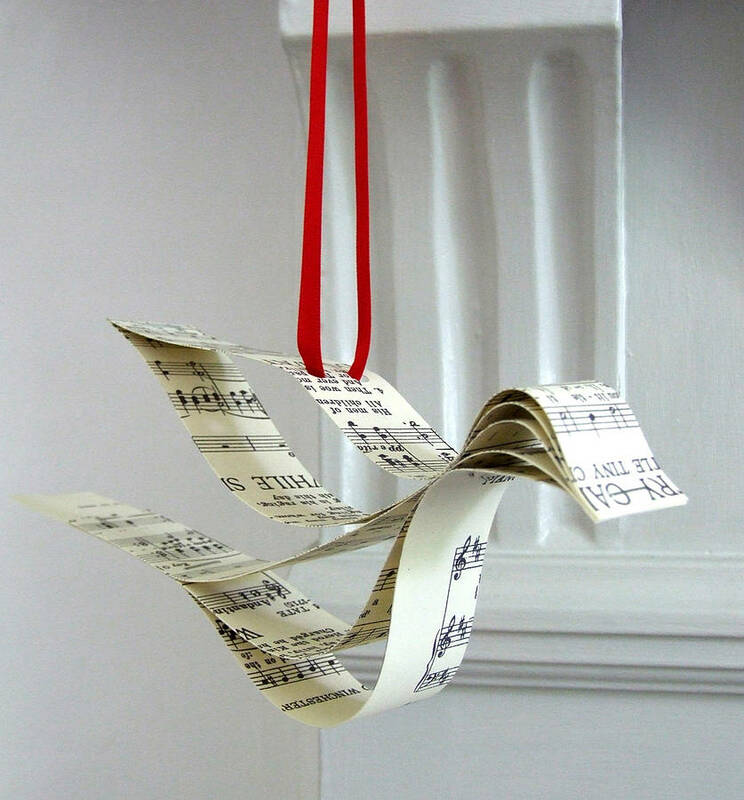 These beautiful simple vintage music Christmas decorations are handmade from prints of vintage sheet music of Christmas carols and threaded with satin ribbon. 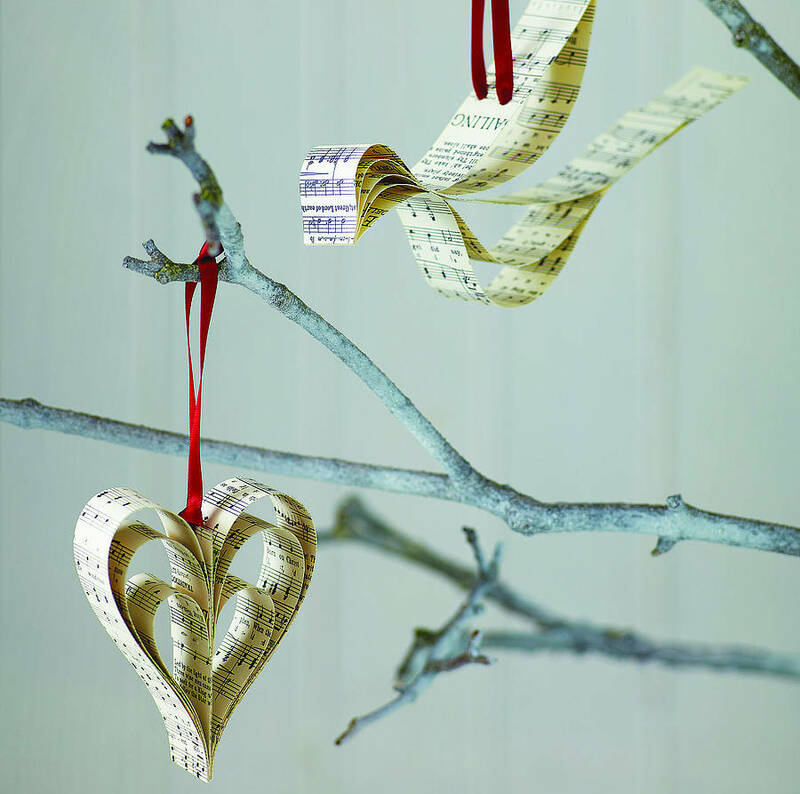 As seen in Country Living and Brides magazines, the heart and songbird decorations both make a lovely addition to your Christmas tree or look equally good hung from your mantlepiece. 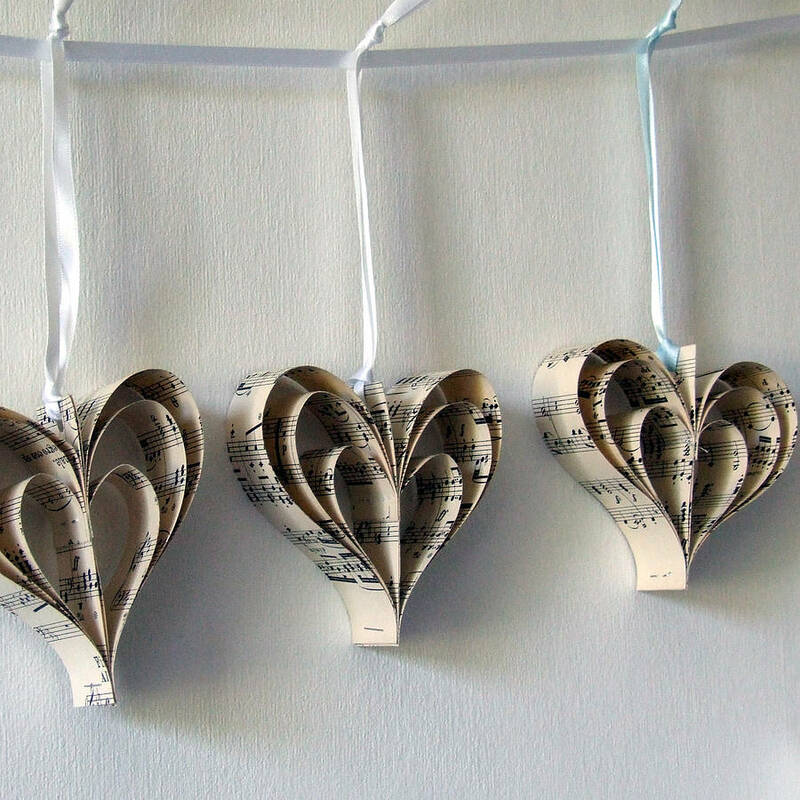 Alternatively they can be strung in groups on long ribbon to make an easy and effective garland. 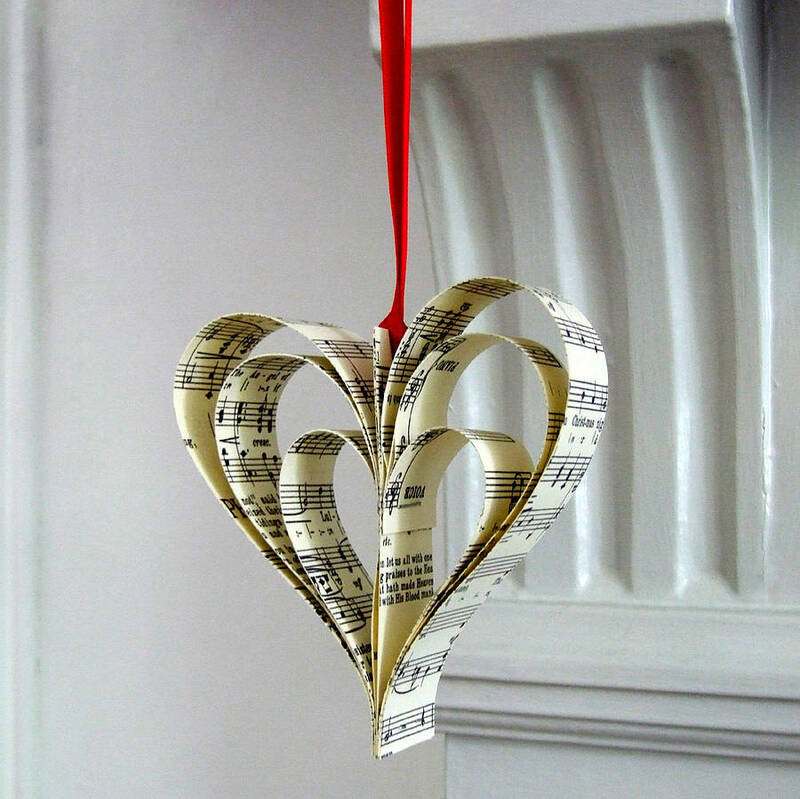 They also make a beautiful little Christmas gift for a friend or music teacher. The heart and songbird decorations can be bought individually or in a box of 6 or 12. 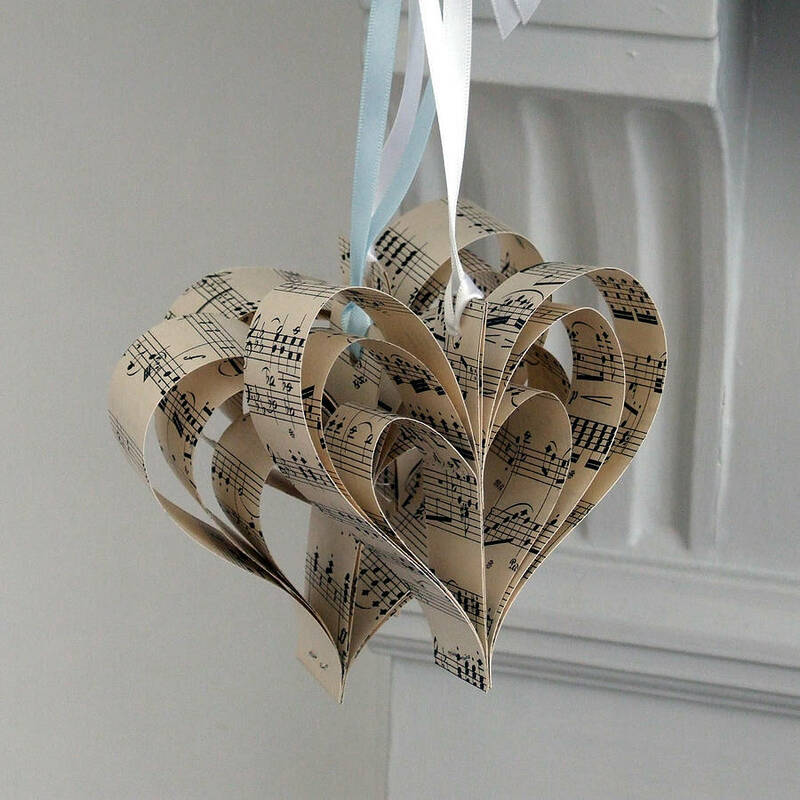 There is a discount for orders of six and twelve..
You can choose between all hearts or songbirds or a mixture of the two. PLEASE NOTE that boxes of the decorations come to you fully assembled, but single decorations or numbers up to six are sent to you flat packed . They are extremely simple and fun to put together with just one small fastener which you thread through pre-punched holes. The christmas decorations are threaded with a choice of seasonal red or white 7mm satin ribbon. Please just get in touch if you require another colour or wish the hearts to be made without ribbon so that you can add your own. 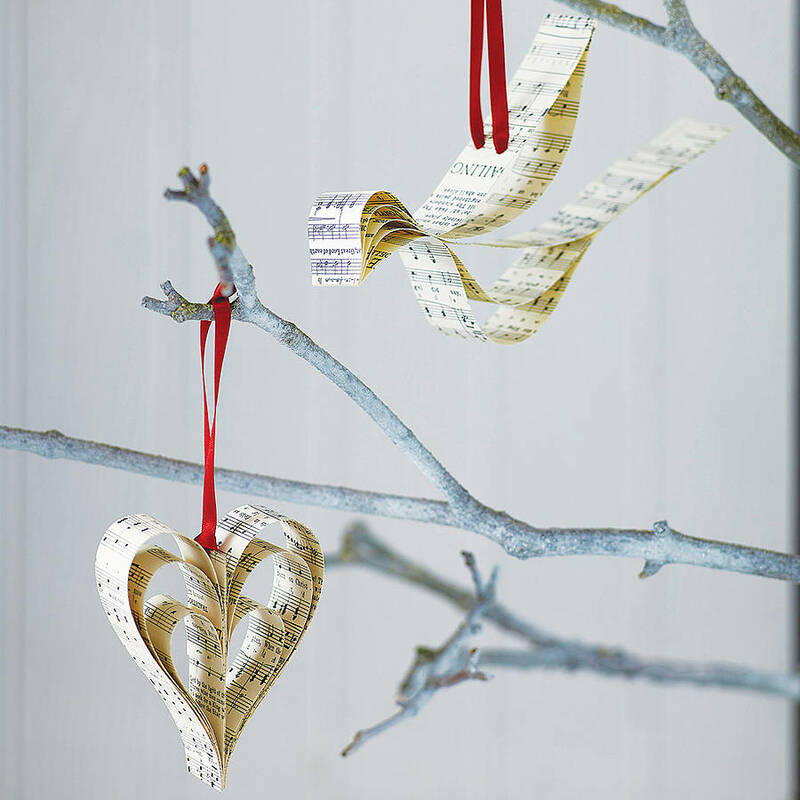 These lovely handmade paper Christmas decorations are made from prints of vintage Christmas carols on good quality, eco friendly paper. They are threaded with double faced satin ribbon. 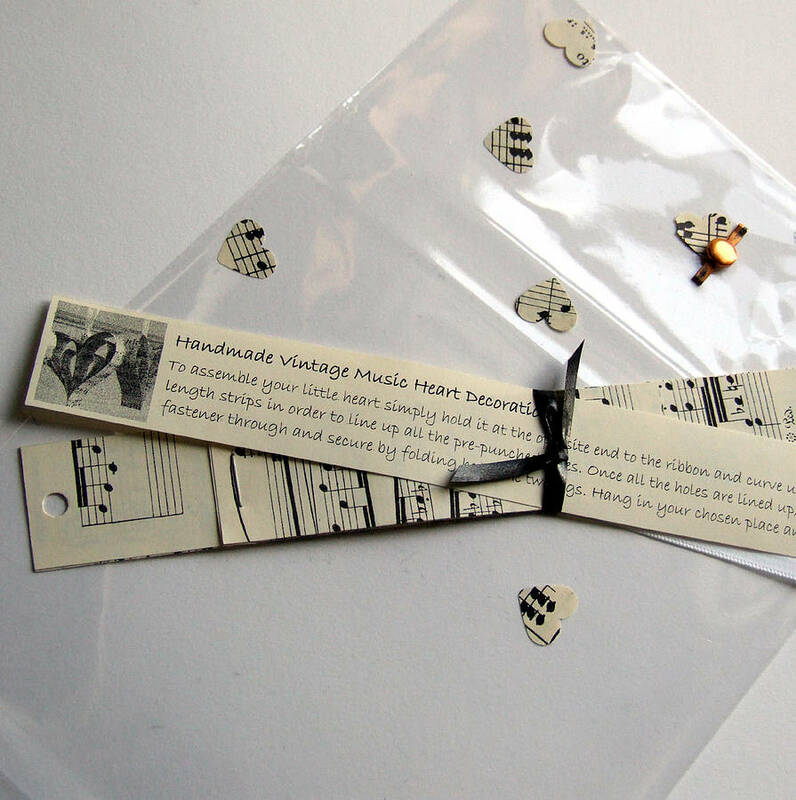 Single hearts come in a cellophane bag with a brass paper fastener. 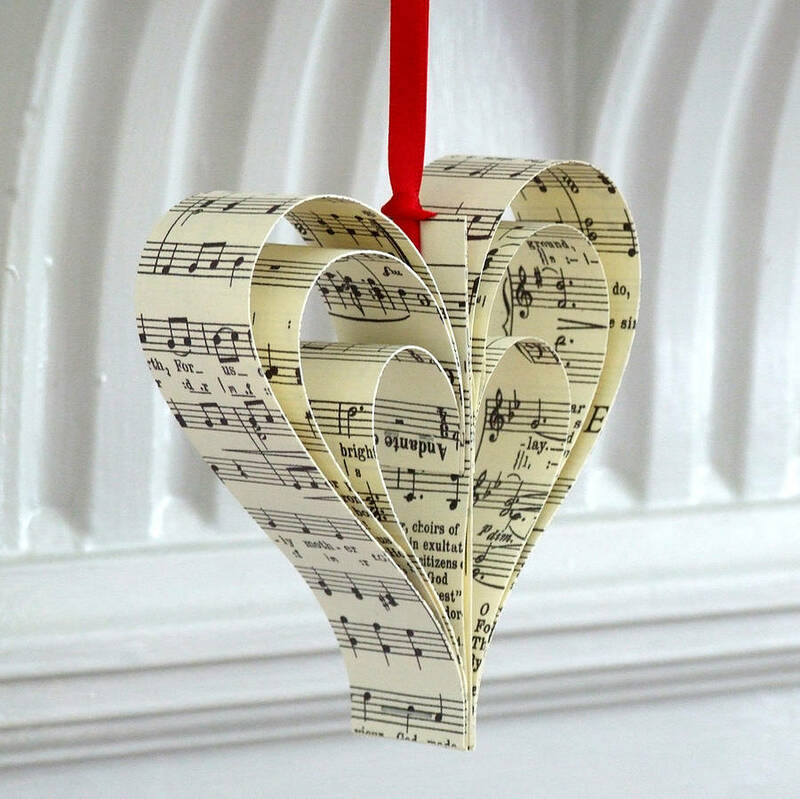 The hearts measure approximately 10 cm in height and 10 cm in width and the birds measure approximately 12 cm in height and 18 cm in length but please be aware that they are handmade and so they will all vary sightly. They are supplied on 50 cm ribbons. This product is dispatched to you by Made In Words.